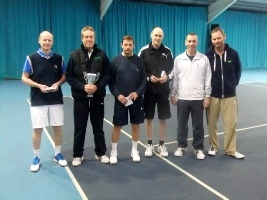 The Mens Vets team of Peter Mott, Richard Stephens, Neil Taylor, John Caddies, Wayne Lemoine (Capt) and Dave Lambe won the Essex Winter League Cup for the 3rd year running beating Woodford Wells. If you find any errors within the website or if you would like something added then please send an email to website@gideaparkltc.co.uk or phone Elaine on 01708 749044. The name of the Club shall be GIDEA PARK LAWN TENNIS CLUB LIMITED. The objectives of the Club shall be to provide tennis and social facilities for its members. The Club shall be managed by a company limited by guarantee (“The Company”) known as Gidea Park Lawn Tennis Club. The memorandum and articles of association of the Company shall be incorporated within the rules of the Club. Every member entitled to vote by reason of clause 5 of these rules shall be deemed to have applied and have been admitted to membership of the company. The committee for the time being shall be Directors of the Company. Where appropriate, references in these rules to “Gidea Park Lawn Tennis Club” or “The Club” shall refer to the Company and references to the Committee shall refer to the Directors of the Company.The Committee shall consist of the following Officers:- Chairman; Men’s Captain; Men’s Vice Captain; Ladies’ Captain; Hon. Secretary; Hon. Treasurer; Hon. Registrar Hon. Match Secretary; Club Professional; Hon. Grounds Supervisor; Hon. Pavilion Supervisor; Hon. Bar Manager; Hon. Social Secretary.Five shall form a Quorum. The Committee shall be elected annually. Any vacancies arising during the term of office may be filled by the Committee at its discretion. Notice to propose members for particular offices may be sent to the Hon. Secretary prior to the Annual General Meeting at which the elections will be made. Where such nominations are received, election shall be limited to the person or persons so nominated. To the extent that the nominations do not provide for the full committee, vacancies shall be filled by the members at the General Meeting. The committee shall have the power to co-opt as and when required. All monies shall be paid into the banking section of the Gidea Park Lawn Tennis Club. A General Meeting of the Club shall be held annually and not more than fifteen months after the previous Annual General Meeting. Notices shall be sent at least fourteen days prior to the date of the meeting to all members. Such notice shall specify the date, time and place of the meeting and the business to be transacted. The Chairman shall take the Chair and if absent, the meeting shall elect its own Chairman. The quorum for a General Meeting shall be fifteen members present and entitled to vote. Officers of the General Committee, all Senior playing members and Juniors aged 15-18 with senior privileges, may vote. Four members of the Club shall be Trustees of the Club in whom all the property of the Club (other than cash) shall be vested. At any General Meeting or Special General Meeting of the Club, four members shall be nominated Trustees, and any vacancy among the Trustees shall from time to time be filled by nomination at the General or Special General Meeting next after the occurrence of such vacancy. The nomination shall be by a majority of the members present and voting upon a resolution for each nomination. No member shall be nominated a Trustee without his consent being previously obtained. Any Trustee may be removed from office by a resolution passed by a majority of the members present and voting thereon at a General or Special General Meeting. Unless so removed every Trustee shall hold office until he or she resigns or ceases to be a member of the Club. If at a General Meeting or Special General Meeting of the Club a new Trustee or Trustees is or are nominated in the manor aforesaid, then for the purpose of giving effect the Chairman of the meeting shall be the person to appoint new Trustees of the Club within the meaning of Section 36 of the Trustees Act 1925, and he or she shall by deed duly appoint the person or persons nominated a new Trustee or Trustees of the Club and relevant provisions of the Trustees Act shall apply to any appointment so made. Every statement of fact in any deed of appointment shall be conclusive evidence of the fact in favour of a person dealing bona fide and for value with the Club. The Trustees for the time being may vest the property of the Club in the Company on terms that the Company holds the property on the same trusts as the Trustees. If at any time the Club in General or Special General Meeting shall pass a resolution authorising the Committee to borrow money, the Committee shall thereupon be empowered to borrow for the purpose of the Club such amount of money either at one time or from time to time and at such rate of interest in such resolution and thereupon the Trustees shall at the discretion of the Committee make all dispositions of the Club property or any part thereof and enter into such agreement in relation thereto as the Committee may deem proper for such security for such borrowings and interest. All members of the Club after the passing of such resolution shall be deemed to have assented to the same as if they had voted in favour of such resolution. The Committee may institute the various classes of membership which shall be restricted to such time of play or such conditions as the Committee shall at their discretion think fit. Candidates applying for membership must be proposed and seconded by club members and such applications must be submitted to the Committee for election. The name and address of any person proposed for election to membership must, for not less than two days before the election, be prominently displayed in the club premises. No such candidate may purchase intoxicating liquor in the clubhouse or enjoy any privileges of membership of the club until two days have elapsed from the time of his or her election. Any playing member may introduce a visitor to the Club. Guests who play tennis and/or purchase intoxicating liquor may be introduced to the Club up to a maximum of three times by a member who shall pay the appropriate fee. Thereafter, if a guest wishes to continue to attend the Club, they would be expected to join the Club as a playing or social member. Full details of playing guests and outside tournaments must be entered in both the “Booking Book” and the “Outside Tournament and Visitors Book”. The Committee shall have the power to expel any member whose conduct is considered to be objectionable or detrimental to the interests and welfare of the Club. Any member wishing to resign shall give notice to the Hon. Registrar by 30th March. Subscriptions shall be due on and payable by 1st April and no members shall be allowed to use the courts until such subscriptions are paid. A joining fee shall be paid by all persons rejoining the Club who do not pay their subscriptions by 30th April. No player shall be allowed to play unless displaying a membership tag and wearing suitable tennis apparel as outlined in the supplementary rules. People playing without a tag will be charged a visitors fee. No dogs shall be allowed on the grounds or premises of the Club unless under proper control. The Groundsman or any member of the Committee has the power to close any court or courts when considered necessary due to weather or maintenance. All games shall be played under the rules of the Lawn Tennis Association. Every member shall be entitled to a copy of these rules. Any matter arising not provided for in these Rules shall be dealt with by the Committee under Supplementary Rules. No alteration shall be made to these Rules except at a General Meeting. Any Proposal to amend or add to the Rules shall be communicated in writing to the Hon. Secretary before the Annual General Meeting at which the Proposal is to be made. The clubhouse shall be open during such times as the Committee shall from time to time decide. The Committee will fix the permitted hours for the sale of intoxicating liquor in accordance with the provisions of the Licensing Act 2003. The charges to be made for intoxicating liquors and tobacco shall be such as shall be determined by the Committee. Every member shall pay any such charges as have been incurred whether on his or her own account or for his or her visitor before leaving the clubhouse on the day the same has been incurred. Intoxicating liquor will only be supplied to a person over the age of eighteen years. members’ guests and members of visiting teams. persons attending functions in the clubhouse provided always that the number of such functions shall not exceed twelve in any year. The purchase for the club and as supplied by the club of intoxicating liquor is managed by the Committee. No person is to receive at the expense of the club any commission percentage or similar payment on or with reference to purchases of intoxicating liquor by the club nor shall any person derive any pecuniary benefit from the supply of intoxicating liquor by or on behalf of the club, by or on behalf of the club members or request apart from any benefit accruing to the club as a whole and apart from any benefit which a person derives indirectly by reason of supply giving rise or contribution to a general gain from the carrying on of the club. All courts not specifically required for matches etc. are bookable in advance except where they are used for the purpose of Club Nights or Tuesday League. Times available will be seen in the Booking Book which must at all times be left on the kitchen counter. All courts are bookable up to 7 days in advance. If members are waiting to play, then only one singles is allowed at that time. This is to be the first booked and clearly marked “First Singles”. All other bookings must be for doubles and must have four names clearly identified prior to the commencement of play. Surnames must be included. Failure to do so will entail triple visitors fees. No person may book in advance more than twice for one day and then not on consecutive times irrespective of court. A court is forfeit if not claimed within ¼ hour of due time. Tuesdays between 1st April and 30th September and all Fridays throughout the year, are designated Club Nights. These are for social play from 6.00pm and are open to all playing members over 18 and juniors aged between 15 – 18 with senior privileges. Court 4 is designated and the Club coaching court. It may be booked by the Club Professional up to 14 days in advance, and other approved coaches up to 10 days in advance. Other approved coaches are approved by the committee. Club Matches requiring 3 courts will use courts 1 – 3 and at that time only court 7 will be available for tournaments. If a match has started, but courts 1 – 3 become unplayable then the match will continue after 4.00pm on courts 5 – 7 taking precedence over any other bookings. Court 1 is the principal tournament court and is bookable more than 7 days in advance. Court 7 is also the reserve tournament court, which is bookable in advance (at any time) for tournaments. From 1988/89 onwards no new memberships will be permitted under main rule category C (see basic Club rule 21). A renewal of a membership which has lapsed will be treated as a new membership. Visitors and tournament opponents names shall be clearly shown in the Booking Book and “Outside Tournament and Visitors Book” together with the introducing members name at the time of arrival and before commencement of play. Visitors and tournament fees will be clearly shown on the front of the book together with the rules and any amendments made during the season by the Committee. £3.00 per session (half price for juniors). Members shall enter the visitors name(s) in the Booking Book and “Outside Tournament and Visitors Book” before play. Failure to do so will entail a triple fee. All senior tournaments will be charged for unless it is clearly stated that they are club tournaments. Each senior member (or junior with senior privileges) may invite up to 3 guests at any one time. Each junior member may invite 1 guest for tennis playing purposes ONLY. A visitor is limited to 3 visits in any one season, unless special permission is obtained from the Committee. Tuesdays between 1st May and 31st August from 6.00 pm until dark are designated for the Tuesday League. By means of promotion and relegation to play 2 doubles matches every week against pairs of a similar standard. Entry fee at discretion of the Committee. Pay shall commence between 6 – 7 pm every Tuesday and continue until dark. All pairs, male, female and mixed are welcome. To enter, find a partner and put name in highest available space. Each division shall consist of four pairs. Each pair plays another pair in their own division. Winners then play winners and losers play losers. Pairs winning both matches shall gain promotion for next Tuesday. Each match shall consist of a number of games to be decided on the night having regard to weather conditions. Substitutes shall be allowed in each pair each week. Any pair not represented shall be relegated below all pairs in the division for next week. At 7.00 pm any absent pair will be replaced by the highest pair in the division below and so on to maintain four pairs in each division. The Tuesday League take precedence over all other bookings. Tennis balls are available at a discount rate for members from Mrs Beverley Myers on 01708 745168. Juniors may book courts 4 – 7 subject to Supplementary Rules 1b – f as follows:- Monday – Friday until 6.00pm Sundays from 6.00pm until dark Plus Junior coaching sessions as organised by the Committee. In addition they may use the other courts at all other times providing they are free and no senior member wishes to use them. ALL Juniors are expected to leave the premises within ½ hour of their finishing playing and are not allowed in the Clubhouse except on special occasions. Men/Boys: Shorts (i.e. no athletic or football shorts). Any colour t-shirts or plain coloured t-shirts (no jeans; capri shorts; vests; no slogans or football/rugby shirts please). Ladies/Girls: Any colour t-shirts with short sleeves or a sleeveless vest-type top (no slogans or crop tops). No athletic, netball or hockey shorts please. ANY MEMBER OR GUEST NOT COMPLYING WITH THE ABOVE WILL NOT BE ALLOWED ON COURT. Club Play, matches and Tournaments: all colours permitted. Tennis etiquette is different from the rules of the game. It covers a broad range of actions and behaviours that are traditionally considered acceptable on and around the tennis court. Please do not walk behind players whilst a game or a rally is in progress, this is to avoid distracting other members and most importantly to avoid any potential accidents on court. When trying to cross a court please wait at the net for a break in play or until you are invited to and it is safe to do so. If a stray ball comes onto your court don’t knock it back immediately, wait until the owners are ready and then hit it to the server’s end. During play and particularly between games, keep the amount and volume of conversation down to a minimum necessary to play and enjoy your own games. Too much social chatter or debate can be disturbing to those on adjacent courts who came to play tennis. Line calls can be a problem and the majority of experienced players use what the Americans call the ‘honour system’. Only call the lines on your side of the net. Call clearly and firmly what you see and what you honestly believe to be correct. If you are not absolutely certain or didn’t see the ball clearly, the ball was IN and must be given in the opponents favour. If occasionally you have serious doubts as to your opponents eye-sight, ask politely if they are certain as to the accuracy of their call. If they say that they are, get on with the next point. If you feel your opponent regularly have difficulties making correct calls, start looking for different opponents! If in social friendly matches there is some doubt over a line call, offer to play the point again rather than cause undue aggravation and time wasting. Do not criticise your partner or opponent, be positive and offer encouragement instead. Body Language – tennis can be a frustrating game if you are not getting your serves in or not hitting your shots, but try to remain upbeat and happy. Your opponent and/or doubles partner doesn’t want to be playing tennis with someone who is miserable so cheer up! You are more likely to play better tennis if you are calm, relaxed, focused, and in a positive frame of mind.